Light sectional sofa with white slipcover club chairs and the perfect ocean view. 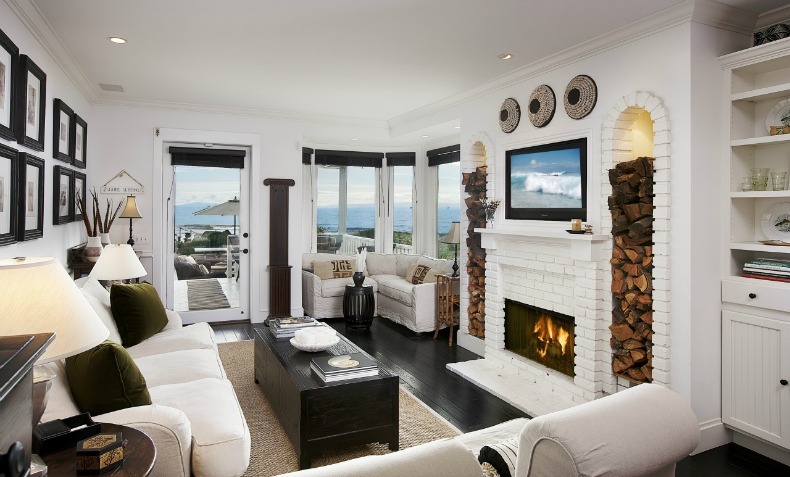 Modern coastal, open air ocean view Living Room with white slipcover sofa and chairs. Coastal Living Room with white slipcover sofa and dark wood tones. Coastal minimal space with lovely ocean view.